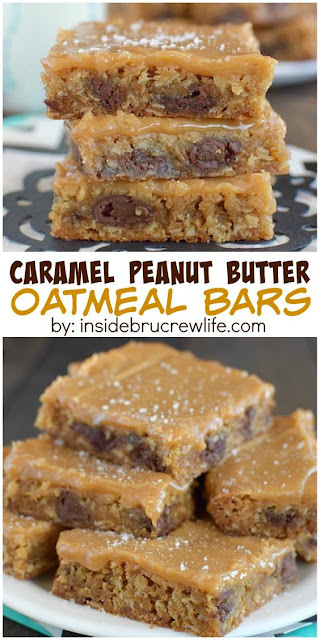 Caramel Peanut Butter Oatmeal Bars | FoodGaZm.. I just made these and they turned out great! I think the trick is two fold. One remember that she says to use 1 and 1/2 cups if butter, not sticks. Also, she says to use low to medium low heat to caramelize the condensed milk. If you heat the milk too high with the sugar it will crystallize, and it will turn crumbly like bad fudge. This certainly makes a ton of bars so I have frozen some for later snacking!